Like many others in junior high, I enjoyed making videos with friends. I had a cousin who introduced me to some visual effects software, and it was then did I really become interested in making videos. I made a lot of light saber videos in junior high. It was only the beginning of my video adventures. School was a party, and at that point extremely easy (and kind of a joke). 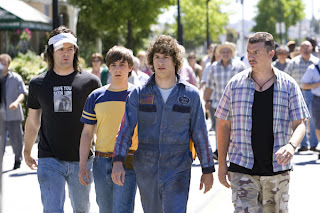 My easy schedule was what allowed me to really spread my wings and dive into this film thing. 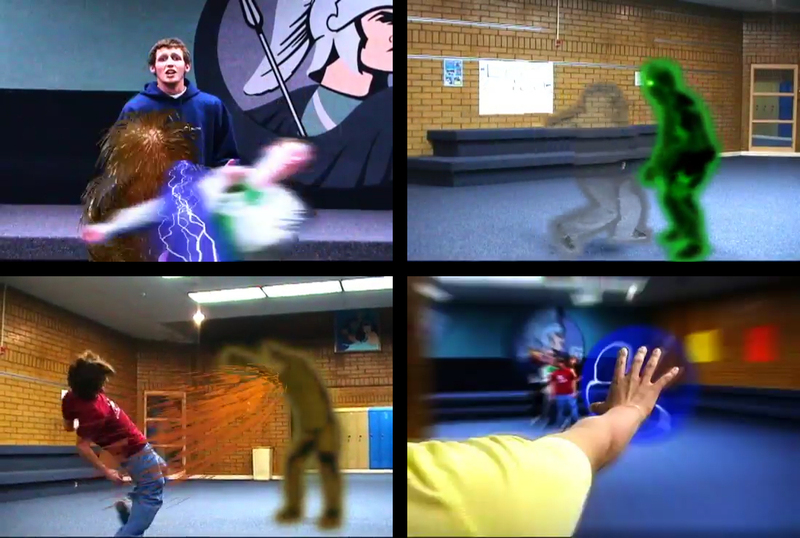 Below are some pics of the video I made for the Farewell Assemby in 2006. You can watch Part 1 and Part 2 on good ole' YouTube. Most of my friends went to college. I decided to go straight on my mission, despite my birthday being in October. I could have done a semester before my mission, but that didn't feel right. I knew that not attending a university would make applying to one very difficult after my mission. Only a few universities would hold high school transcripts for two and a half years after high school graduation, but those universities required attendance of at least one semester prior to leaving. I felt strongly that I needed to go on my mission as soon as possible though, so I did. It was a bit of a leap of faith. Towards the end of my mission, my mission president asked what my post-mission plans were. After discovering I planned to go to college but had yet to apply to a university, he suggested I apply to BYU, for BYU will hold a high school transcript for mission purposes. 'BYU? Are you serious? I hate BYU, and so does my family. I don't really have a choice though.' "I suppose president." I really am grateful for my education at BYU, don't get me wrong. BYU has pushed me academically. My professors have been absolutely stellar and I've met some incredible people here too. With that said, there are things at BYU I absolutely cannot stand. BYU is hell to a closeted gay Mormon. Twice I planned to transfer to the University of Utah, but when it came down to praying about my decision, it didn't feel right. For some reason I felt like I needed to stay at BYU. Ugh. 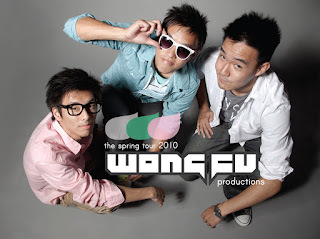 I fell in love with Wong Fu Productions freshman year at BYU (2009). I blogged about them at the bottom of this post. They are three chill Asian Americans who make really fun, funny, good videos on YouTube. They have a massive following and are just all around good guys. Their content if very wholesome and clean. Also, I've had a knack for a long time and lately it's become stronger than ever to start making a video blog. I've talked to some friends about it and even have a composer, so now I just need to sit down, do some planning, and set aside certain hours of the week for shooting and editing and so forth. I was so excited! Man, my ambitions were high and things were going to happen! But things weren't going to be easy. In fact, the amount of opposition I faced was incredible. This blog post dated Thursday, December 29, 2011 mentioned a lot of some of it. Then here is a blog post on Thursday, January 26, 2012 about some more opposition, but you can sense how badly I want this thing to go down. I simply was not going to give up. It was the first time I had been really excited about something in a long time. Finally I shot my first video! I posted about it here. However, as a result of some stuff, that video will never see the light of YouTube. I was able to shoot another video though, and that ended up being my very first video ever and can be watched on my YouTube channel :) It's called Ordering Pizza. I think it was a great start, but nothing special. Funny idea though. So, I'm hitting this youtube channel head strong and I don't know why. I guess it's simply been something I've always wanted to do. There have been a series of events however that have been rather motivating that keep me with it. In that blog post I talk a lot about reasons why I felt like I should continue on with my YouTube channel. It was crazy really, the things that kept happening to keep me involved with my YouTube channel. Last December I felt like I should start a video blog. Um OK, so I did. I had no desire to get famous or anything, it just felt right AND I love making movies and music. So I started off. I had great support from those around and it's because of them, I'm convinced, that I went forward with everything. So my channel was eventually up. Woohoo. I had like 10 views. Meh, I didn't care, I just kept on making em'. To make a long story short, because of my video blog I have had four job offers, all of which I have taken. I currently have three of those jobs and potentially one more on the way. I feel that my strong feelings to start a video blog weren't just coming from within, though I was never sure why I felt impressed to make videos again. For a while I thought that it was for a job offer or two, but that didn't quite fit. Now I want to move on to the next step of my hobby. I have the skill set but it's been going to waste all this time. 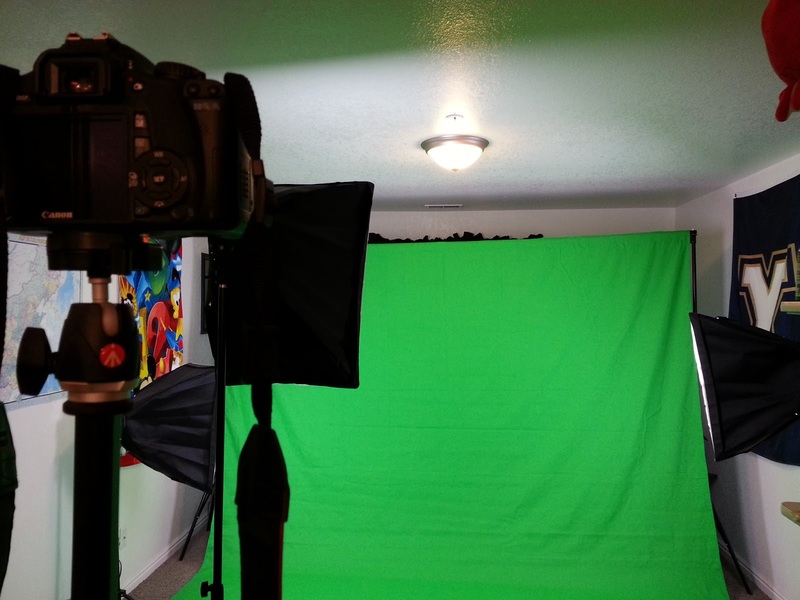 I feel I am capable of making a professional high quality video, but I just haven't had the equipment. Well, this needs to change.This is a lot of money. But since I bought all of my stuff a year ago while on post-surgery narcotics I've already broken even with the jobs it has created for me. An expensive hobby, yes, but if you play right than you'll be well off. I only plan to delve deeper and deeper into this hobby, but it's just that, a hobby. At this point the idea of capturing my "coming outs" on video was in the air, but ideas for the video were anything but concrete. I felt like buying a green screen, a new computer for recording music, and some other stuff. Where on earth was this going? United States Golfers Association anyone? The acronym for that is USGA, which is the name of the club at BYU where USGA stands for Understanding Same-gender Attraction. I thought I'd drop a hint then. At this point, in my family only my oldest sister knew. I had told three friends by then. It was a very difficult time. February 2, 2013, the day I shot my video in my bedroom. I had to move my bed into the hallway to get depth I wanted. It was a very humble set up. Anyways, that's a brief look at how my YouTube channel came to be. So basically it's how my coming out video came to be. This was on the side of the road somewhere in the Australian bush. 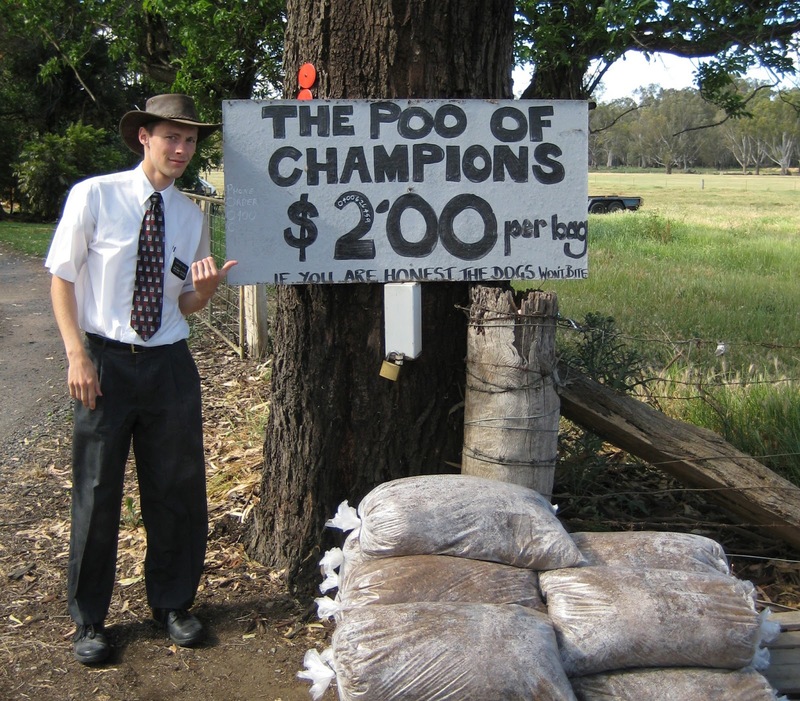 I think this is near Wagga Wagga. I blog and have a YouTube channel. Yeah. I served my LDS mission in Melbourne, Australia. I was called Mandarin speaking. It was then I fell in love with the Chinese people. 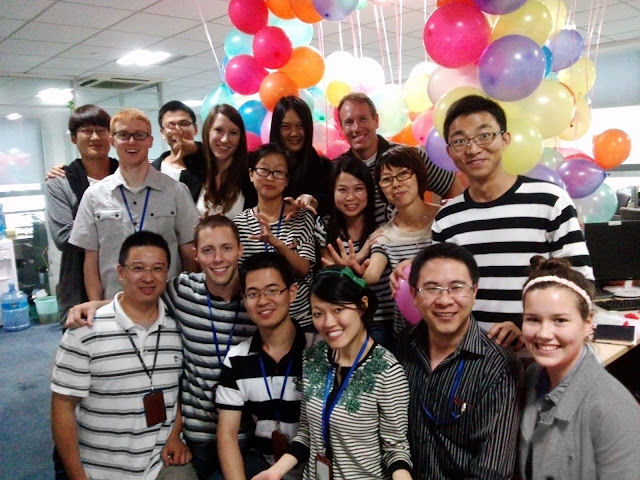 Here I am with some coworkers at my internship here in China. Everyday Friday we have a theme and take a picture. This week's theme was Zebra. My sister Jolie and me at the starting line of the Salt Lake City Marathon 2013. "You have five seconds to answer: How many trees on on the earth?" After somebody says "Guess what?" I quickly, and honestly, try to guess what they're about to say. "Would you rather leave a trail of slime wherever you go or always emit a horrible stench?" I swear Kelly Clarkson is a closeted lesbian Mormon. Why? Her songs are so perfectly interpreted as being from my point of view (though I'm not a lesbian.) In this song she says, "If anyone asks, I'll tell them we both just moved on...If anyone asks, I'll tell them we just grew apart..." While it wasn't about any individual people were constantly asking me about, them asking me whether there was a significant other or not really caused this song to speak to me. The song that taught me that I love singing. I heard Clay sing this live and was completely blown away. If I could have any male singing voice it would be his. Female voice... Kelly Clarkson. I have a really artistic side to me. I'll listen to "weird music" or occasionally enjoy a work of art done by Yoko Ono. I fell in love with Bjork in high school and have been a crazy fan ever since. I listened to this song in high school during my parents divorce and what not. It's a very powerful song really speaks to me emotionally. Best listened to on a big sound system with good bass. This song isn't released on any album. Since my dad is in the Mormon Tabernacle Choir, this song ended up on one of his practice CDs that he used as he prepared for tour. It is simply amazing. I'm not sure what it is about this song, but it's a song I never skip when it comes on. It's calm for most of it then builds up, at the end Kelly shreds the last verse with a powerful belting voice. It talks about the aftermath of broken relationship (or difficult life event). This song is perfect. Whether it's about LSD or not, who cares. John Lennon's lyrics are perfectly weird, and the synth you hear throughout goes along perfectly with the psychadelic mood the lyric brings. If I ever had a theme song, this is it. A hauntingly beautiful song about a lover being alone, wanting to share their love, but not being able to. Clay wrote this song, and it's clearly about him being gay, despite it being released a few years before he came out. In fact, back in high school I fell in love with this song. It tells my story perfectly and I'm mad that I didn't write it. Radwimps is my favorite band. They're from Japan and are incredibly talented. I love the singer's voice and how he's never off pitch (I watched them live). The lyrics to this song are beautiful, though I had to find them in English to know it. The title of the song means "Messiah", and is a sort of prayer of praise. It's mostly calm, but has a big finish. Share a stage with David Archuleta for a number. Go to a Kelly Clarkson concert. Become a confident music producer. Settle down and not be afraid of being lonely. Fund my sister Jolie's films. Here is a film my sister wrote and directed. It's one of my favs! EVERY time I've had an opportunity to ride on one I found out just after the opportunity is passed. In the wild, witness a fierce animal take down, kill, and eat another animal. Have a body of a god. As humans, we really don't know a lot. I'm way more dramatic late at night, so some conversations need to wait until the morning. I have a thing for Asians. I put on a very convincing front when I'm feeling down. God wants to help me in certain ways, but I need to ask first. I cannot, for the life of me, juggle. When I was 5 years old, I sat on Santa's lap and asked for an umbrella and a garbage can. I've broken my arm, dislocated my shoulder, had stitches on my forehead and chin, and had surgery on my shoulder and both of my knees. 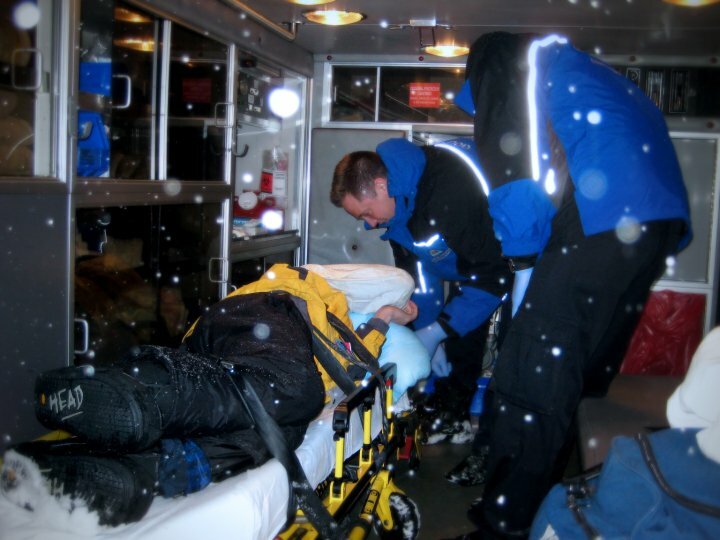 Here I am in the ambulance after dislocating my arm snowboarding. My good friend Scott, who rushed down the mountain to get help after my fall, later told me that that trip down the mountain was perhaps his most enjoyable lol! 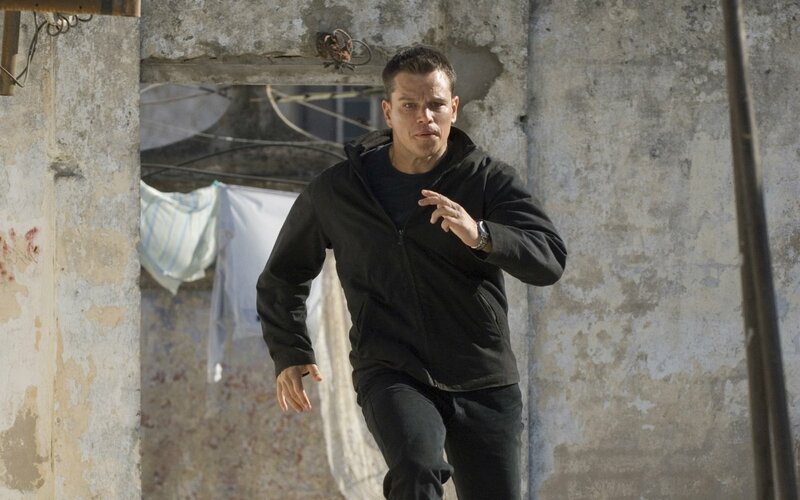 Rather than imagining he was on a James Bond mission, he kinda was. I don't put milk in my cereal. My major was initially Biology, but is now Computer Science. I sleep with a fan because I like the soothing noise it makes. 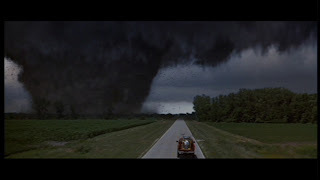 I was born in Kansas City, Kansas. I wear socks to bed. I don't want to go there now, but I hope to see the day where I will be able to go there safely. I've always had a thing for Japan. I want to go there so bad!!! I cannot think of a lamer place to visit, so I want to go there. It doesn't exsist yet, but it will in a couple years! It's a huge mystery to me, so I want to learn about it. I grew up in Utah, but I've never been to the salt flats. I need to graduate first. I'm in China and am so far away from my creative music side that I'm kinda going a little crazy. When people don't look where they're going and walk into me. I don't mind scratching chalk boards at all, but the felty material found on the seats in our mini van growing up... the thought of scratching them makes me cringe. This post took me a long time to complete, so I'm glad it's done. My time in China is going by too fast!!! Ugh!! When I'm back in the states I'm excited to hit the books one last time for a few months and then never again! Life is great, and I want a massage.